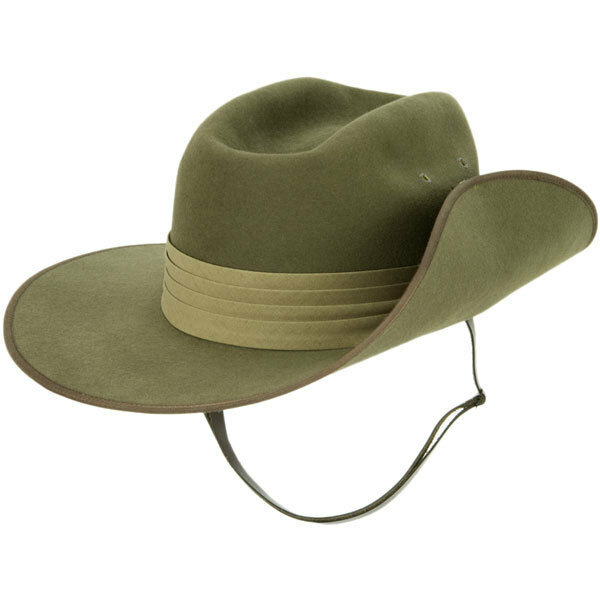 Australia's Army Hat.Authentic quality Military hat 3 1/2" brim may be worn flat or up on the left side Leather chin strap. Order options: open crown, or military crease. Sizes: 6 3/4" to 7 7/8"